The ORIGINAL Edinburgh Castle Pub Open Mic! 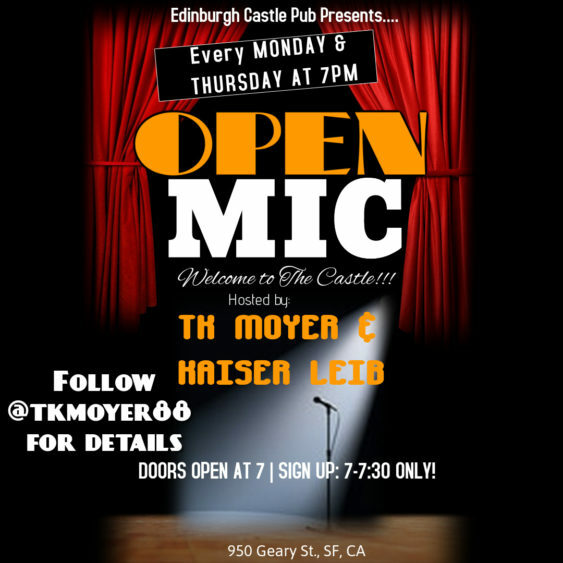 One of the can’t-miss mics of the Bay, we make Mondays and Thursdays fun. Jokes galore, though all acts highly encouraged (we’d love to see more singers/poets out there!). Signup is from 7-7:30pm, show starts at 7.